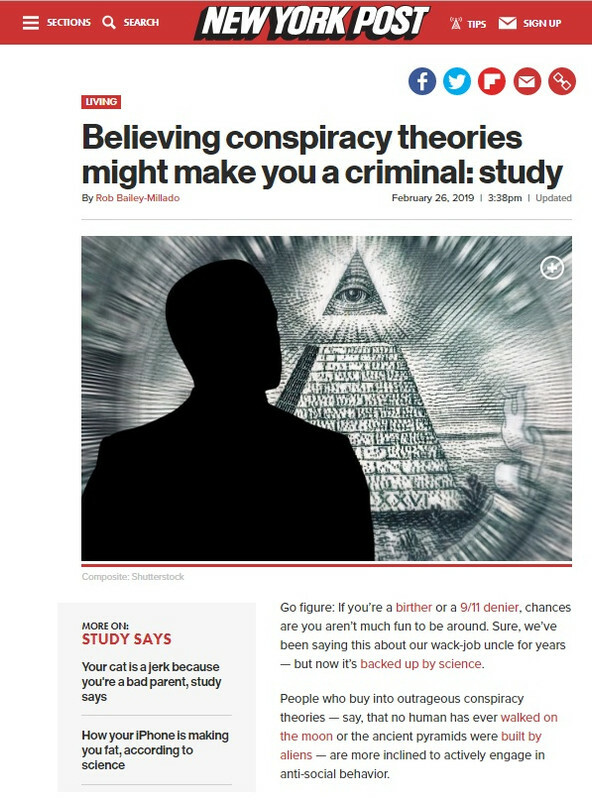 "People who buy into outrageous conspiracy theories...are more inclined to actively engage in anti-social behavior." I'll bet the MSM and the powers that be consider any narrative that runs counter to the Oswald Done It All By His Lonesome to be an "outrageous conspiracy theory." DVP would agree. The value of protein on saggy flabby skin? I Thought the MSM Said "Death Panels" Were Conspiracy Theory!